Winter in North Carolina brings the potential for snow and ice throughout the state. That weather brings the possibility of outages as power lines are weighed down by wintry precipitation. North Carolina’s electric cooperatives are prepared to respond to any winter weather impacts, and you should also take steps to prepare before a storm appears in the forecast. Create an “emergency supply kit” full of essentials like blankets, flashlights, batteries, food and first aid items. Make a family communications plan that details what you will do in case of emergency. Bring pets indoors and move other animals or livestock to sheltered areas. Fill up your car with gas. Since gas stations often rely on electricity to power their pumps, a power outage may leave you without the option to get gas. If possible, avoid driving during winter storms. If you absolutely have to drive, be sure to clear your windows and mirrors before getting on the road. If you see a utility vehicle – or any other vehicle with flashing yellow lights – on the roadside, remember to move over; it’s the law. Reduce your speed and maintain a safe following distance behind other vehicles because snow and ice may cause skidding. Do not apply the brakes if you begin to slide. Instead, take your foot off of the gas and turn the steering wheel in the direction of the slide. If traffic lights are out, treat the intersection like a four-way stop. Use extreme caution when crossing bridges and overpasses as they accumulate ice before other parts of the road. Prevent your pipes from freezing by turning your faucets on just enough so they can drip, especially if temperatures approach 20 degrees F.
If using a space heater or heat lamp, be sure to place it on a solid surface at least three feet away from anything combustible. Always turn off space heaters before leaving the room or going to sleep. Never leave a fireplace unless its embers are completely extinguished. Also consider using a glass or metal fire screen to catch sparks and rolling logs, and never store flammable liquids near sources of heat. Know how to use your generator. Generators should be placed in an open and ventilated area. 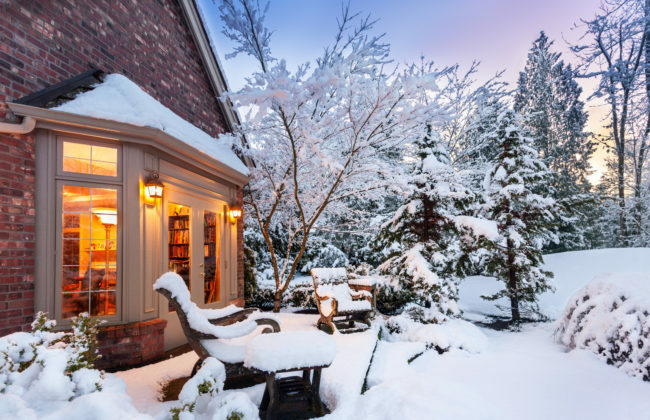 They should never be operated inside a home—including spaces like the basement and garage—due to the danger of inhaling carbon monoxide fumes. We work with arborists to employ a right-of-way program that keeps tree limbs clear from power lines to ensure system reliability. However, if you see limbs near power lines close to your home, please call our office so we can address the issue. Do not try to trim trees near power lines yourself. Never touch a downed power line. Warn others to stay away and call 911 or alert your electric cooperative.